Members of the Zulu Royal Family; and all our distinguished guests. Over the span of almost seven decades, Mazisi Raymond Kunene wrote more than 11 000 poems. His works were published in English, French, German and Japanese. His words were scrutinised by scholars and discussed in universities across the world. His unpublished works fill an entire museum, and are still being collected from endless exercise books and scraps of paper by a dedicated team of specialist editors. With this vast sea of words to choose from, it seems impossible to find just one quote from Mazisi Kunene to capture the essence of why he wrote. But that is precisely what I hope to do. This evening I have the privilege of introducing the magum opus of the late Professor Mazisi Kunene, “uNodumehlezi KaMenzi”. The monumental task of preparing this work for publication began during the tenth commemoration of his passing, last year, as we celebrated the bicentenary of the Zulu Nation. “uNodumehlezi KaMenzi” had been published in 1979 as “Emperor Shaka the Great”. But forty years after it was first written in isiZulu, it had still never been printed in its original form. Tonight, that changes. Tonight we celebrate the first publication of “uNodumehlezi KaMenzi” in isiZulu. To mark this significant moment, I have been asked by Mrs Mathabo Kunene, wife of the late Professor Kunene, to speak about what this means to me, to the Zulu nation, and to the cultural repository of human history. Indeed, Mrs Kunene has asked me to articulate the vision of Africa’s Poet Laureate as he penned an epic work that has been compared to those greatest influencers of ancient culture, The Iliad and The Odyssey. That is quite a formidable task! I therefore turn to the words of Mazisi Kunene himself. He said, and I quote, “A writer should avoid the temporary attractions of cheap popularity and make a contribution to the community that gave birth to his genius.” That, I believe, is what Mazisi Kunene has done. “uNodumehlezi KaMenzi” is an African epic, which relates the journey of a great king, a powerful nation and a changing society. While it has been criticised as idyllic, one cannot read it as a romanticising of the past. Far from glorifying King Shaka ka Senzangakhona, it attempts to understand the complex psychology behind his actions and places them within a context of African values and African cosmology. To foreign observers, King Shaka’s actions were perceived as brutal and often difficult to understand within a western worldview. But “uNodumehlezi KaMenzi” is not written from a western perspective. It expresses the way King Shaka’s rule was perceived by African leaders at that point in history. Kunene’s work functions as a corrective history, properly portraying our nation’s founder and the elements of our nation’s past. When “uNodumehlezi KaMenzi” was published as “Emperor Shaka the Great”, copies were distributed to ANC members in exile, to encourage and inspire them in the struggle against apartheid. There was something about this poem that restored dignity to a people who had suffered tremendously. The Zulu Nation has endured endless attempts to conquer, divided and destroy us. Yet still we stand. King Shaka forged a powerful sense of identity that has never been defeated. 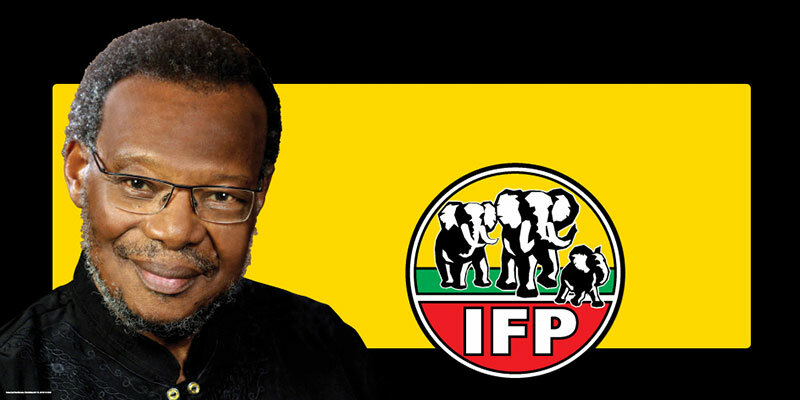 “uNodumehlezi KaMenzi” reminds us of our strength. This poem is not static, displaying a history that has been closed. It tells of a time of social change and modernisation, expressing how a society grows and evolves through the action of protagonists and the current of cultural development. We are still moving, still changing, still evolving. But the essence of who we are remains, allowing us to reach outwards from a place of security. “uNodumehlezi KaMenzi” is, beyond anything else, beautifully written. I remember visiting Professor Mazisi Kunene in America in the 1970s where he had gone to take up a teaching post at the University of California, Los Angeles. He and Mrs Mathabo Kunene welcomed me and my wife, Princess Irene, into their homes in London and California. We were good friends, of the same generation, engaged in the same struggle for the sake of our people. After receiving his master’s degree from the University of Natal, Professor Kunene had left for London to pursue a doctoral dissertation on Zulu Literature. There he became a prominent anti-apartheid activist, and helped establish the ANC’s mission-in-exile in London. When I visited London in 1971, I met with Mr Oliver Tambo and I visited the Kunenes as well. It was a relief to see them again, for my passport had been confiscated by the apartheid regime for 9 years and I had been barred from travelling. It was a knee-jerk reaction by the regime to my brief meeting with Mr Tambo in 1963 when I travelled as a lay delegate to the Anglican Congress in Canada. As soon as my passport was returned to me, I was back in London visiting Mr Tambo. But it was during one of my visits to Professor Kunene in California that he astonished me with a copy of his poem “Emperor Shaka the Great”. It had been published in Japanese! Even before it had ever been published in English, this great work was translated and published in Japanese. Of course, it went on to be published in English, French, German and Dutch, which shows the extent to which his work was admired throughout the world. But we were frustrated that it remained unpublished in its original form, in isiZulu. Mazisi Kunene had written “uNodumehlezi KaMenzi” in longhand in his other tongue. That is how it was born. Yet it was never published the way it was first written. After 35 years in exile, as we stood on the threshold of democracy, Professor Kunene returned to South Africa. He was named Africa’s Poet Laureate and he continued to write prolifically. His first poems had been published in newspapers and magazines before he was 12. But, still, his magnum opus remained unpublished the way it was first written. This is the perfect place to start. I don’t know anyone who has contributed more to isiZulu literature than Professor Kunene. He performed an invaluable service to our nation by showing the world the beauty of isiZulu. He is one of the great protectors of our cultural heritage. But this is merely the beginning of a journey. There are many more works by Mazisi Kunene yet to be brought into the public domain. His extensive body of writing needs to be archived and published. This is the vision of the Mazisi Kunene Foundation. It is a massive undertaking, as Professor Otty Nxumalo and his team will attest. These specialist editors engaged a 6 month process to prepare the manuscript of “uNodumehlezi KaMenzi” for publication. The process will need to be repeated for thousands of poems, likewise written in isiZulu, which are yet to be published. I hope that the Foundation will find the financial support that is needed for such a momentous project. We must rely on the Department of Arts and Culture to see the immeasurable value of this task, and to invest in seeing it completed. It is an investment in our future, in our sense of identity, and our rich cultural heritage. It will not surprise me if funding comes from other sources as well, for there are successful men and women in South Africa who wish, in Professor Kunene’s words, to make a contribution to the community that gave birth to their genius. As we honour Professor Mazisi Kunene, let us reach out to his fellow poets and writers who are making their contribution to our cultural inheritance. I want to thank the Mazisi Kunene Foundation, the Living Legends Trust and the Department of Arts and Culture for birthing the Mazisi Kunene Poetry Award, so that our living legends can be supported and recognised. I appreciate the extensive work done by the Mazisi Kunene Foundation to create a museum to house the writings of our Poet Laureate. Just this week the original manuscript of “uNodumehlezi KaMenzi” was available for viewing at the museum, in Professor Kunene’s own handwriting. As one who still writes all my correspondence in longhand, I know that his was a labour of love; an arduous journey through long days and nights. The rewards will be reaped by this generation. Now that it is published, I hope to see “uNodumehlezi KaMenzi” in every classroom and lecture hall. Wherever there is a debate on culture, history, literature and social evolution, I hope that “uNodumehlezi KaMenzi” is discussed. I support the Mazisi Kunene Foundation’s campaign for the inclusion of African literature in school curriculums. Just a fortnight ago, a visiting professor from Kenya delivered an address in Pretoria and spoke strongly about the importance of using our indigenous languages. We are fortunate that Professor Kunene set the example by expressing his genius in our own language. Another protagonist of this was the late Dr Mordecae Gumede. Although he was a medico, it was not surprising that he was a writer, as he also had a degree in one of the Humanities. “uNodumehlezi KaMenzi” brings to life the story of King Shaka and our nation’s birth. It offers our children a sense of history and substance. At the opening of the 20th edition of the Poetry Africa International Festival in October last year, I said that the next generation needs more than houses and jobs. They need a sense of identity and belonging. They need to know where they came from. They need to understand their place in the greater whole, so that they will value themselves and others. This is the lesson of King Shaka’s legacy. Let us delve for a moment into the history of our nation. When King Shaka ka Senzangakhona ascended to the throne in 1816, he transformed the art of war and imposed the dominance of the Zulu Clan through strength of arms. But rather than simply defeating other clans, he created a process of assimilation, enabling those he conquered to recognise a single centre of power and to become part of a unified nation. He consolidated this unity through a system of governance and administration that is unique in recorded African history. King Shaka was not merely a military strategist, but a political strategist, which enabled him to forge one, unified, powerful nation. King Shaka’s warriors, armed with the innovative short stabbing spear, wrought unprecedented carnage. At the beginning of King Shaka’s reign, the Zulu Clan came up against the prominent Buthelezi Clan, and the slaughter of Buthelezi warriors opened a deep psychological wound. King Shaka knew that for the sake of a unified nation, that wound would need to be healed. He began the process by merging his bloodline with the Buthelezis. Within the growing Zulu nation, every man, woman and child was given a role, and was valued because of the role they played within the social structure. There was deep respect among our people, for everyone was important to the functioning of an effective system. I believe there are two lessons we can take from this history as we struggle to create unity in South Africa today. The first is the lesson of assimilation and the second is the lesson of participation. Assimilation of people into one group requires acceptance, both on the part of those being assimilated and on the part of those already within the group. When I served as Minister of Home Affairs for the first ten years of democracy, I was tasked with transforming our country’s immigration policy from a closed to an open system. In all our research, we discovered that xenophobia could only be prevented where migrants were assimilated into a receptive environment. There had to be give and take, and the different cultures had to interact on all levels rather than remaining separate, living parallel lives. The same applies to the nation of South Africa when it comes to social cohesion and reconciliation. We must accept that no South African, regardless of race, language, ethnicity or background, is outside the rights and responsibilities of citizenship. We are all part of this nation, equally entitled to the benefits of a democratic government. Right now, fears are rising over social divisions in South Africa, and much of the political debate is focussed on race. We must remember the founding principles of our liberation struggle. We sought to create a country where freedom, social justice and economic opportunity were equally enjoyed by all. Not by a majority. But by all. I still believe that our people need to interact more closely, in order to understand one another better. We need to eat in each other’s homes, share one another’s burdens, and work together on common goals. Every South African must have a role in the wellbeing of our nation. Every citizen must participate in social development and good governance. Once we have full participation, respect and shared values will follow. Let me return now to King Shaka’s strategy to merge his bloodline with the Buthelezis, creating the Royal Usuthu Clan. My paternal great great grandfather, Inkosi Nqengelele Buthelezi, had lived in the court of King Senzangakhona and tutored the royal children, including the young Shaka. Inkosi Nqengelele actually played a very significant role in the Battle of Gqokli Hill. It was his idea that food be destroyed so that Zwide’s regiments would starve. The Zulu regiments retreated and on the way destroyed food in the pits and also in the barns. His son, Inkosi Mnyamana ka Nqengelele, was appointed by King Shaka’s brother, King Mpande, to raise the King’s children. Inkosi Mnyamana was considered the father of the King’s children, to the extent that when King Mpande offered his daughter in marriage, Inkosi Mnyamana declined. He was offered Princess Mthabayi, the full sister to Prince Hlamu ka Mpande. But Inkosi Mnyamana pleaded with the King to offer her to his cousin Bantubensumo, when was then married to her. My maternal great grandfather, King Cetshwayo, appointed Inkosi Mnyamana as traditional Prime Minister to the Zulu Monarch and Nation, and Inkosi Mnyamana became Commander-in-Chief of all the King’s regiments during the Anglo-Zulu War. His sons fought at the Battle of Isandlwana, where one of them, Mntumengana, lost his life. His brother, my grandfather, Mkhandumba Buthelezi, was injured, but survived. Under King Cetshwayo’s son, King Dinuzulu, Inkosi Mnyamana continued to serve as traditional Prime Minister. His grandson, Inkosi Mathole Buthelezi, served in the same capacity under King Dinuzulu’s son, King Solomon. It was King Solomon who continued the unifying work of King Shaka in 1926, by giving his sister, Princess Magogo kaDinuzulu, in marriage to his traditional Prime Minister, Mathole Buthelezi. It was understood that this marriage would be a unifying element for the Zulu Nation, which had been defeated and subjugated by the British. Our people understood that the child born of this marriage between Princess Magogo ka Dinuzulu and the traditional Prime Minister, would be born with the preordained mission to unify a nation. When Princess Magogo gave birth to a son, this history already lay on his shoulders. I stand here this evening as the son of Princess Magogo ka Dinuzulu, as the grandson of Mkhandumba Buthelezi who fought at Isandlwana, as the great grandson of King Cetshwayo and his Commander-in-Chief Inkosi Mnyamana Buthelezi. I am here as a descendent of King Shaka ka Senzangakhona, and as the traditional Prime Minister of the Zulu Monarch and Nation. One of my mentors, Dr Pixley ka Isaka Seme, the founder of the African National Congress, was married to my aunt, Princess Harriet Phikisile. Thus my sense of identity is firmly rooted in the history of my nation, and its culture is as valuable to me as my own life. All that I have done in the service of my nation has been done to create unity. But I am also here tonight as a friend of Professor Mazisi Kunene. In the preface to “uNodumehlezi KaMenzi”, Professor Kunene thanks me for continuing the unifying work of King Shaka. Now it is my turn to thank Professor Kunene. Finally, I am here because Professor Kunene’s beautiful wife, Mathabo, wanted me to speak as we mark this milestone. I thank her for the example she has set by being so loyal to her gifted husband. Professor Mazisi Kunene’s legacy has survived to a great extent because of her. She and her husband are our freedom fighters in every sense of those words. Reading the manuscript of “uNodumehlezi KaMenzi” in isiZulu has been a wonderful experience for me. I have read many books about King Shaka and have heard much about him through the oral tradition, through my mother Princess Magogo, the widows of King Dinuzulu, the widows of King Solomon and other members of the Zulu Royal Family. But after reading “uNodumehlezi KaMenzi” I can say that I know King Shaka better than I did before. Professor Kunene brought him to life before my eyes and I heard his voice for the first time. “Wawabeka ngesakhe isidlakadlaka, amazwi okubashushuzela. I wish that time allowed me to quote to you other gems in our language. For 200 years, the Zulu nation has maintained its identity by protecting our cultural heritage. We have maintained our unity, despite constant challenges. The story of our birth and that indomitable spirit of unity have been captured in “uNodumehlezi KaMenzi”. It can now be understood by a new generation. It can be examined by scholars, performed by artists, and celebrated by anyone with a love for literature. Professor Mazisi Kunene has given us a remarkable gift. And we have, at last, unwrapped it. We thank him, and we thank his family. May his legacy continue as we read his words.